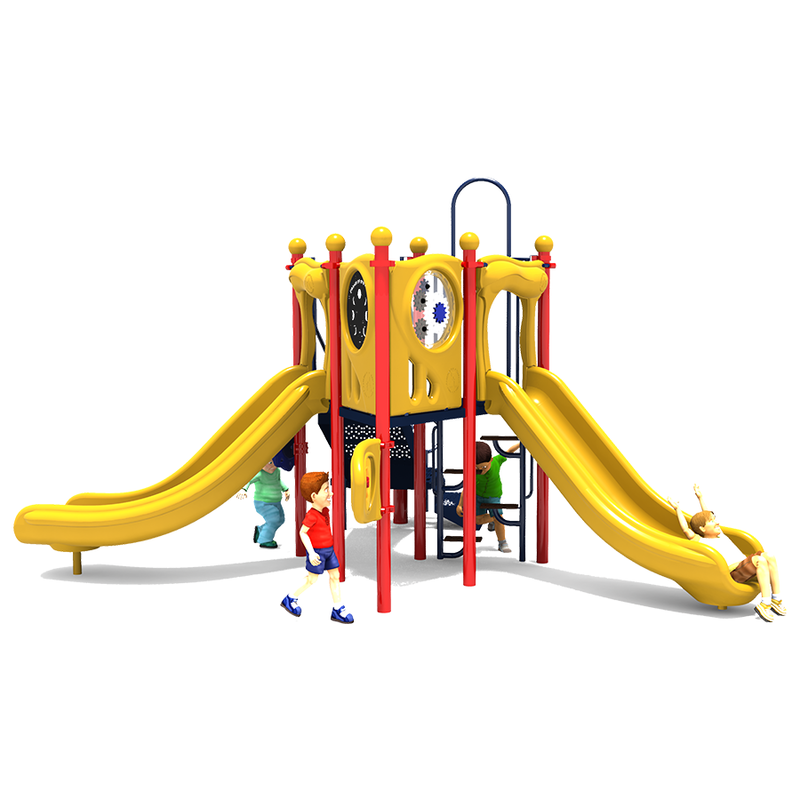 The Dillon's Delight commercial play structure from American Playground Company is a compact playground perfect for use in daycare centers for a bit more outdoor learning and entertainment opportunities. 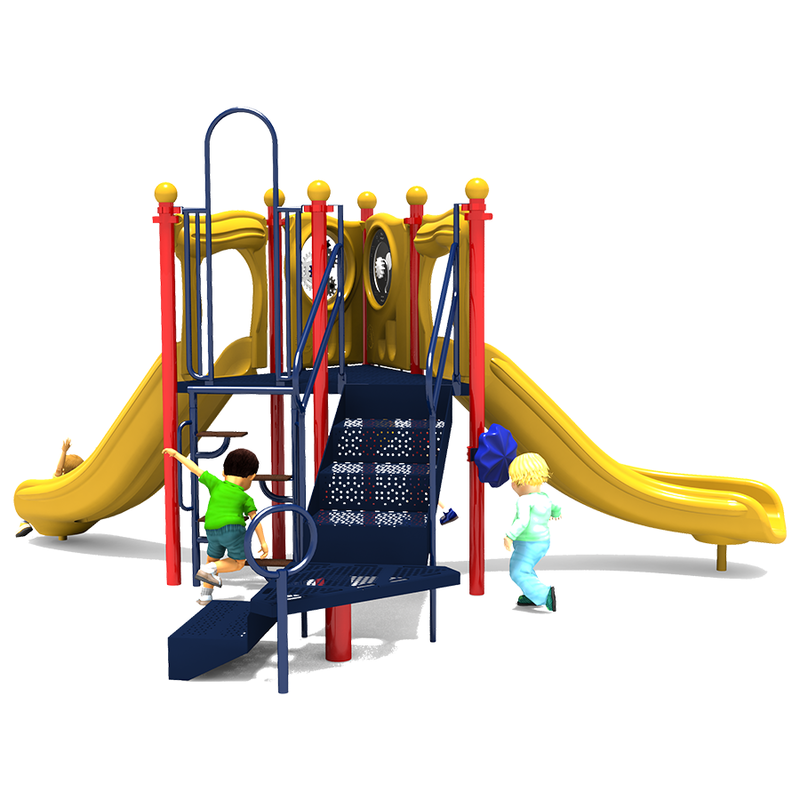 It is designed to accommodate up to 20 children ages 2 to 5 years old with its seven different play activities. This play structure keeps it simple while offering several different types of activities that provide several child development benefits. The Zip Step Climber and stairs to the play deck ensure that children who engage in this commercial playground develop physically. The Gear Panel and Moon Phase Panel introduce scientific concepts in a fun and non-intimidating manner. The Mini A-Maze Panel and Rain Wheel will inspire kids to use their imaginations. 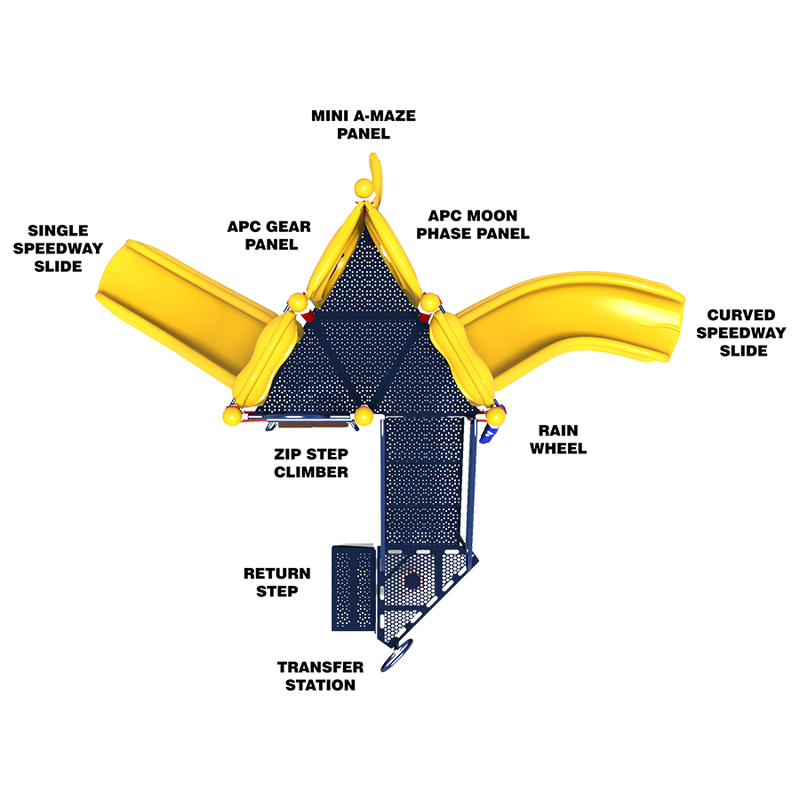 And the two slides create an exhilarating rush as they descend to the bottom. Steel posts are powder-coated to customer color specifications, and are backed by a Lifetime Limited Warranty. All plastic components and punched steel decks are guaranteed by a 15 year limited warranty. Metal pipes, rungs, loops, and rails come with a 50 year limited warranty. The structure is ADA accessible, and meets or exceeds all requirements from the American Society for Testing and Material (ASTM), and Consumer Product Safety Commission (CPSC). 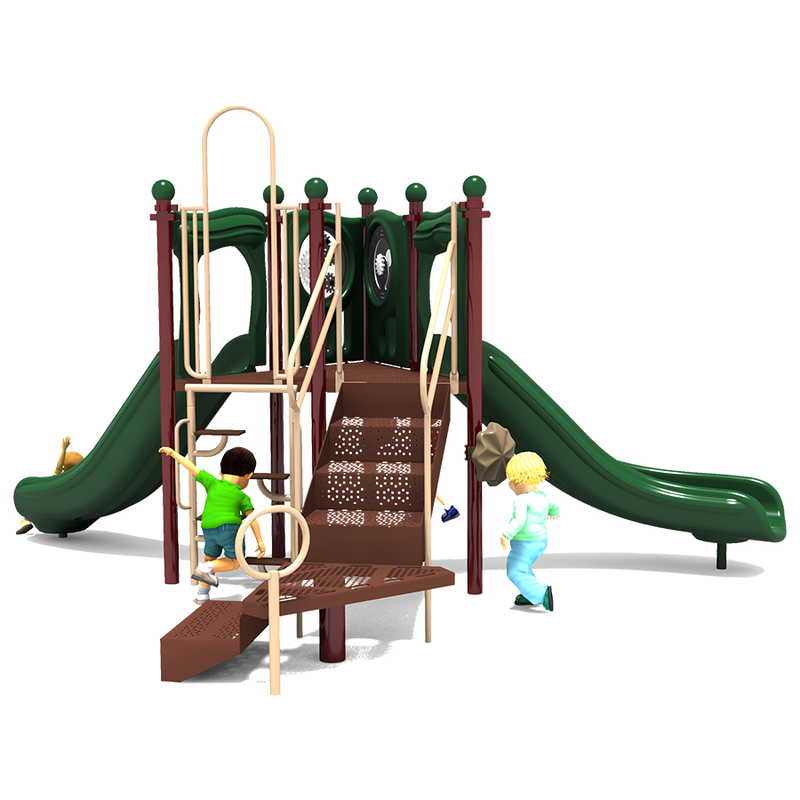 American Playground Company is a leading provider of quality commercial playground structures, park and playground furnishings, and much more. 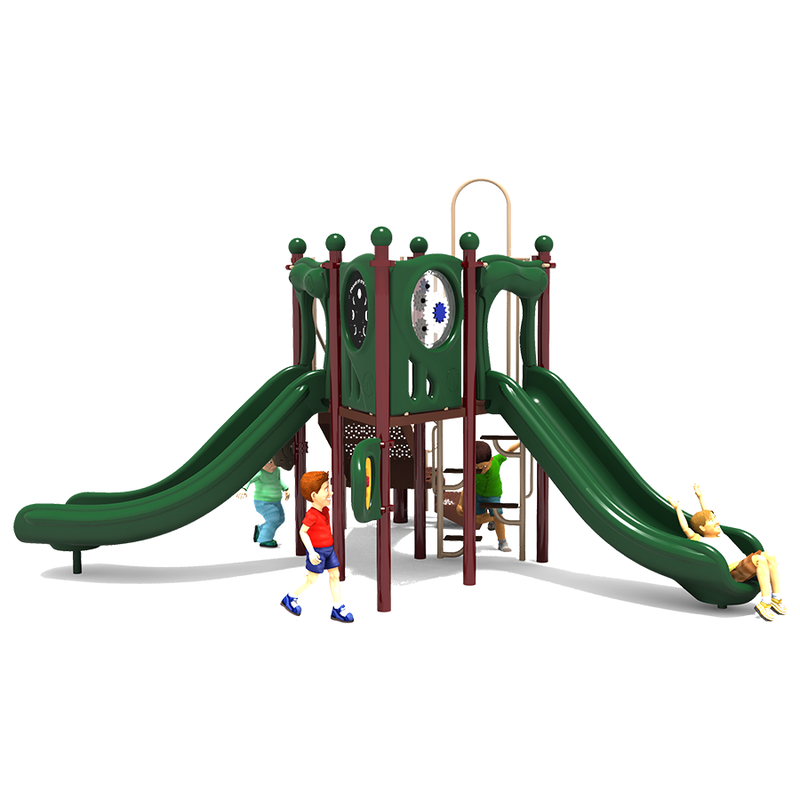 We offer an industry leading warranty on all our products, and our playground experts can help you design a park that suits your organization and your budget. 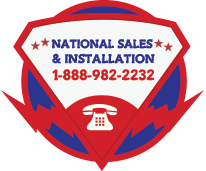 Call us at: 1-888-982-2232.